You might think that cleaning your ears is a straightforward task. You grab a cotton bud and start swabbing. But washing your ears isn't always as beneficial as you imagine. In fact, it could be downright harmful. Here’s what, and what not, to do when cleaning your ears. When earwax becomes impacted, it can be difficult to remove. 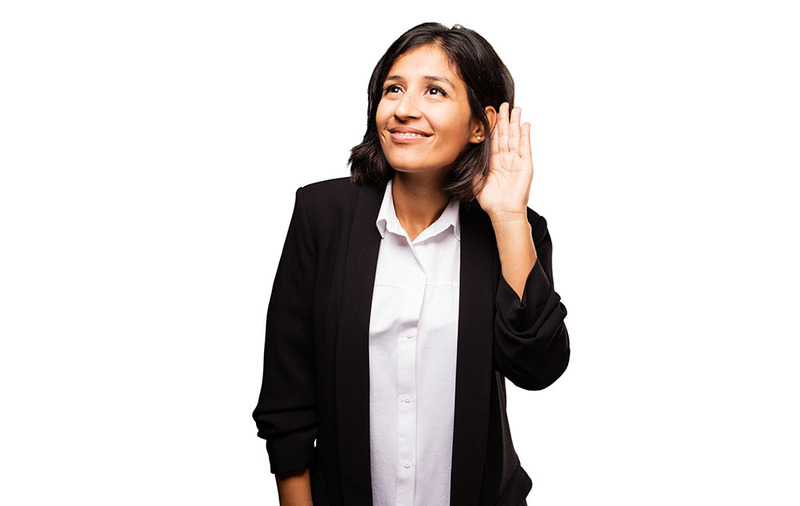 Although going to see your audiologist is a wise option, it’s also possible to attempt to remove the blockage yourself with the help of solutions or softening oils. Softening oils include mineral oil and baby oil while solutions include commercial earwax removal brands or salt water. Lie with your head on the side so that the blocked ear is facing the ceiling. Then apply the softening solution, allowing it to dribble down the ear canal. After five to 10 minutes, drain the ear by sitting up, and clean up any excess with a paper towel. Cotton swabs are almost made to be prodded in your ears. But experts now believe that they may be a common cause of impacted cerumen (earwax). Cotton swabs, when inserted into the ear canal, tend to push excess earwax towards the eardrum. Occasionally, the wax can become compacted against the ear canal wall rather than adhering to the cotton bud. This can then lead to a host of complications, including temporary hearing loss, pain, a feeling of fullness in the ear canal, tinnitus, swelling and bad odors emanating from the ear. The general advice is to avoid putting anything in your ears that might cause the earwax to become compacted, including, cotton swabs, pen lids, bobby pins and your fingers. There’s nothing wrong with cleaning your outer ear with a damp washcloth or cotton swab. But the inner ear is a lot more sensitive and prone to damage, so it shouldn’t be avoided unless a blockage presents. Using cotton buds inside the ear canal puts you at risk of damaging the delicate eardrum, causing a painful rupture. You might think that you should clean your ears every day like you do your teeth. But this, unfortunately, is a bad idea. The ear canal is a naturally cleansing organ. Earwax gets transported down the canal towards the outer ear as a result of movement generated when you chew or create certain facial expressions. The ear relies on there being a thin layer of lubricated material, allowing it to remove any debris or particles that inevitably get in. Frequent washing, however, can do more harm than good because it strips the ear of this delicate, protective lining, leaving the way open for bacteria to get in and multiply. Experts, recommend that you only clean your ears every two to four weeks. Because the ears are a self-cleaning system, it’s worth asking whether you need to clean them at all. Those who don’t spend many hours wearing earplugs, hearing aids or headphones can usually get by with ignoring ear cleanliness and allowing the ears to self-clean. But those who do wear these things may experience a buildup of earwax in the ear canal. So what should you do? First of all, ask yourself whether your hearing is dull. 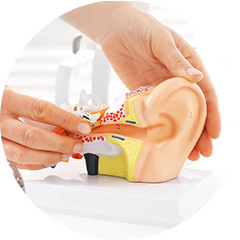 Dull hearing can be an indication of a buildup of wax. Secondly, don’t assume that the presence of earwax means that you need to start cleaning. Only investigate cleaning options if you feel the amount of discharge is excessive. Ear candling might sound like a good idea in theory, but it doesn’t work in practice and can lead to severe damage to the ears. Ear candling is the practice of inserting a hollow candle into the ear in the hope of creating a vacuum that dislodges any stubborn wax. As you can imagine, gimmicks like this are not only ineffective at removing blockages but can also cause burns to the surrounding tissue. 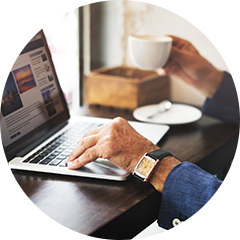 Audiologists at Peninsula Hearing understand that certain people are at higher risk of developing earwax problems than others, especially those who wear hearing aids. If you find that you’re suffering from an excess of earwax talk to one of our specialists about strategies to prevent this. You can contact our friendly audiologists by calling our Poulsbo office at (360) 697-3061 or (360) 379-5458 for Port Townsend.